What Should You Expect During Your HouseMaster Inspection? 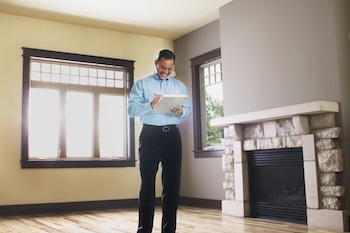 If you’ve never had a home inspection, chances are you have no idea what to expect. What is the purpose? What are we inspecting? How long is the process? These are common questions my HouseMaster team and I receive from our clients located in the metropolitan area of Lancaster, PA. If you are in the market to buy or sell a home in Lancaster, we are here to help. Even before we arrive on the premises, you can be prepared for your home inspection by following these helpful tips. As a professional home inspector in southern Pennsylvania, I’ve conducted thousands of home inspections. Frequently, my clients are not sure what a home inspection really is. Simply put, a home inspection is conducted by a trained expert who documents details of the condition of your home you might not otherwise realize could be a problem. A home inspection is not a pass or fail test, but rather an evaluation of all the major systems and components in the home performed according to state regulations. Although HouseMaster inspectors are known for doing a thorough job, technically a home inspection is not an examination of every little detail in a home. For example, we won’t focus on cosmetic issues that could be a quick fix after a trip to the hardware store or appliances that may not be staying with the home like the washer and dryer. It is the inspectors responsibility to assess the condition of the home and give you the knowledge and understanding of any major issues or damages that were visible that may need to be addressed or repaired. With every HouseMaster home inspection, our home inspector will aim to arrive at least 30 minutes early. This allows us to conduct a preliminary walk-through of the home. It also gives us time to familiarize ourselves with the property and make any notes of potential issues. Once you arrive, I give you the opportunity to ask any questions before our inspection. Then I briefly summarize the inspection process, review what I will inspect on the property and encourage you to ask questions. I also review our exclusive Inspection Resource Guide™ that contains important information to review once you have your completed inspection report. After I answer any questions you have, we start the complete walk-through process together. We recommend you stay for the entirety of the inspection because we have important insights about the house to share along the way. For example, if we find a poorly ventilated attic, we would want you to understand the potential concerns that may develop if left unattended. In addition, seeing and hearing the inspector detail his findings during the inspection will make the final written report more meaningful and can speed up negotiations. Interior and Exterior: We Inspect It All. The interior and exterior inspection includes (but isn’t limited to) evaluating visible areas of the roof, attic, foundation and assessing the ventilation, insulation, electrical panels, plumbing fixtures, electrical wiring. We will report the age and expected life of the various systems and in the home as well as any visible signs of damage, deterioration, or system malfunction. We uniquely stand behind our inspections with a limited repair reimbursement guarantee to give our customers peace of mind. We will do our very best on every inspection. Homebuyers can contact our office to review the terms and conditions of this FREE guarantee. As part of our inspection report we will include digital images of important conditions, which help clarify conditions noted and make it easier to negotiate with sellers regarding repairs found. Once we’ve completed inspecting all the major areas of the home walk-through (which can take up to 3 hours), we will review the findings of the inspection on site with you and answer any additional questions you may have. Within 24 hours of the inspection, you will receive notification that your inspection report is available online in your own HouseMaster Cloud Account. You will then log in, access your report and go from there. Potential issues? What do we do? No home is perfect. HouseMaster inspectors identify lots of issues, but don’t worry. We will clearly document the issue and give you guidance on how you or a professional contractor can correct the problem. Now that you know what to expect during a HouseMaster inspection, schedule a home inspection with us here. We proudly serve the people of Lancaster, York, Harrisburg, Middletown, Reading, Shrewsbury, Elizabethville and their neighboring communities. And we are ready to exceed your expectations!